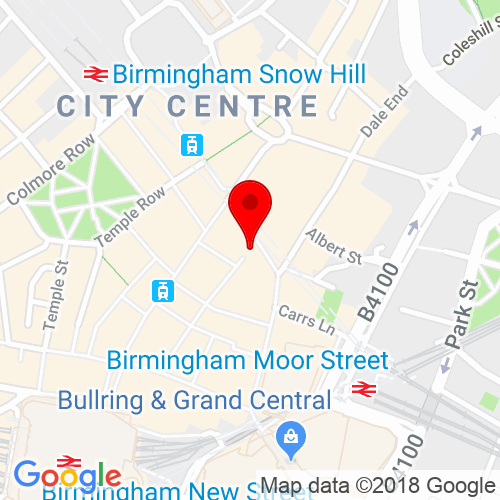 Situated in the middle of two main line train station, Birmingham Moor Street and Birmingham New Street are both within easy walking distance to the salon. Birmingham city centre offers lots of parking close to the station, NCP car parks can be found on Dalton Street and on the High Street, Dale End. Click here to see the current price list for Rush Birmingham. Our Birmingham salon joins one of the city’s main shopping areas, Corporation Street! With our deep blue shop front and shiny black floor interior, it’s hard to miss this fabulous new addition to the high street. The salon boasts a strong team of Birmingham’s best hairdressers trained to live by the Rush philosophy that in order to create beautiful hair, our hair stylists first needs to understand your needs and aspirations. Only then can we craft a hairstyle that makes you look and feel absolutely gorgeous. Your journey to beautiful hair starts the moment you walk in! 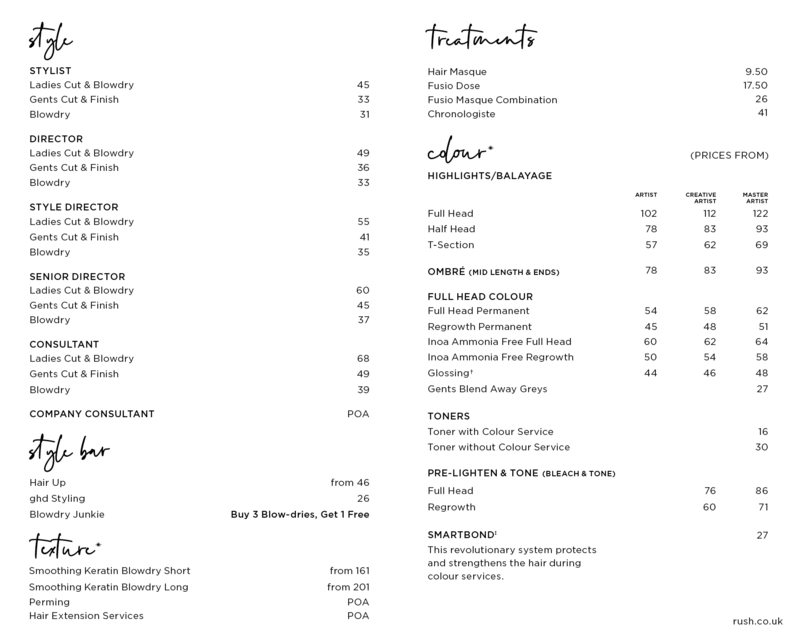 Sit back with a tea or coffee and nibbles, while your hair stylist gets to work. 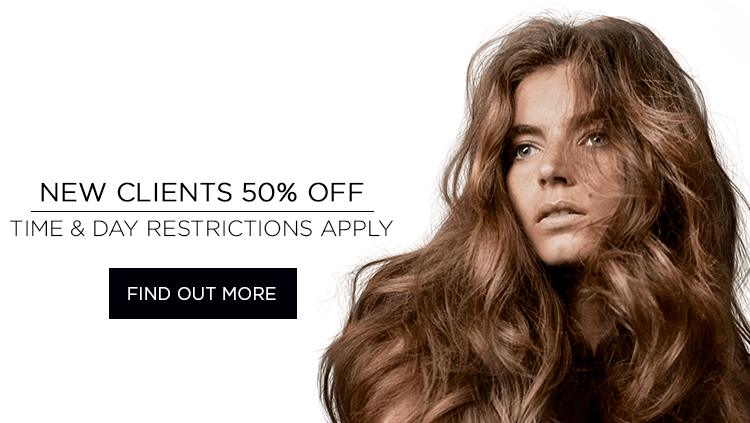 Discover the latest products, style trends and more as your stylist advises you to the best hair you can achieve. Relax with a head massage in our moon lit washrooms and you’ll drift away. The journey doesn’t end there, find the best haircare ranges such as Kérastase, L’Oréal Professional and ghd to keep your fabulous salon-look going strong long after you’ve left. Welcome to your new confidence boosting ritual at Rush Birmingham. This was my first time to get my hair cut and blowdry here and the service was exceptional. I will be coming back! After a shopping trip to find a new outfit, I needed a quick blowdry for a night out and came across RUSH. I feel fabulous! I had my hair cut at Rush salon today and couldn't be happier. My hair was cut and styled exactly how I describe. Very friendly staff and excellent customer service - you even get chocolate while you wait! I'd recommend Chloe who was really friendly and a great hairdresser - thanks very much! I'll be back! I attended rush salon today and couldn't be happier with the haircut and the service! The receptionist was very friendly and I was made to feel right at home. I had a cut and colour by Matt who gave me an in-depth consultation and was more than accommodating. Great result and I will definitely be attending again!